Baltimore, MD – A joint venture formed by Alex. 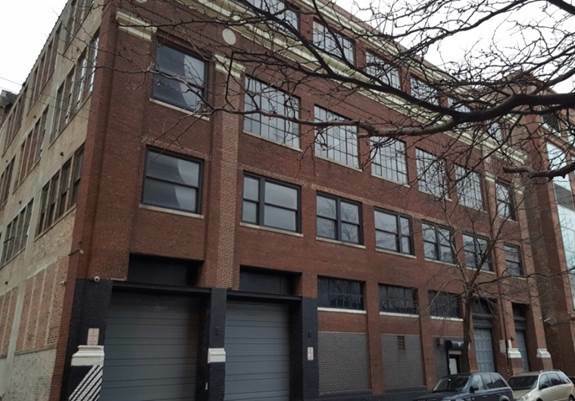 Brown Realty, Inc. (ABR) and 3L Real Estate has purchased the former Yellow Cab building located on East 21st Street in Chicago’s South Loop neighborhood. The joint venture announced plans to redevelop the 80,000 sf building into a 110-unit apartment project. ABR Chesapeake Fund V, a value-add real estate fund sponsored by ABR, invested $6.56 million in the joint venture. The acquisition and renovation is being financed with a loan from Hinsdale Bank & Trust Company, N.A. The now vacant building will undergo a $10 million renovation. Once complete, the project will offer 110 studio, one- and two-bedroom apartments with parking and amenities including fitness and laundry facilities. In a market known for its luxury apartments and corresponding rental rates, 57 East 21st Street will offer quality living space at an affordable price. “This is an exciting value-add opportunity,” stated Tom Burton, ABR’s chief investment officer. “The location is excellent and we believe the project will appeal to young professionals who desire the amenities that the South Loop offers without paying luxury rates.” Residents will enjoy easy access to the lakeshore and other South Loop amenities including the CTA’s Cermak-McCormick Place station, which is less than two blocks away. “We like the dynamics of the South Loop neighborhood,” commented John Prugh, president and CEO of ABR. “We expect that 3L’s experience with redevelopment into this product type will create a profitable asset for the Fund,” added Prugh. The transaction represents the first joint venture between ABR and 3L.